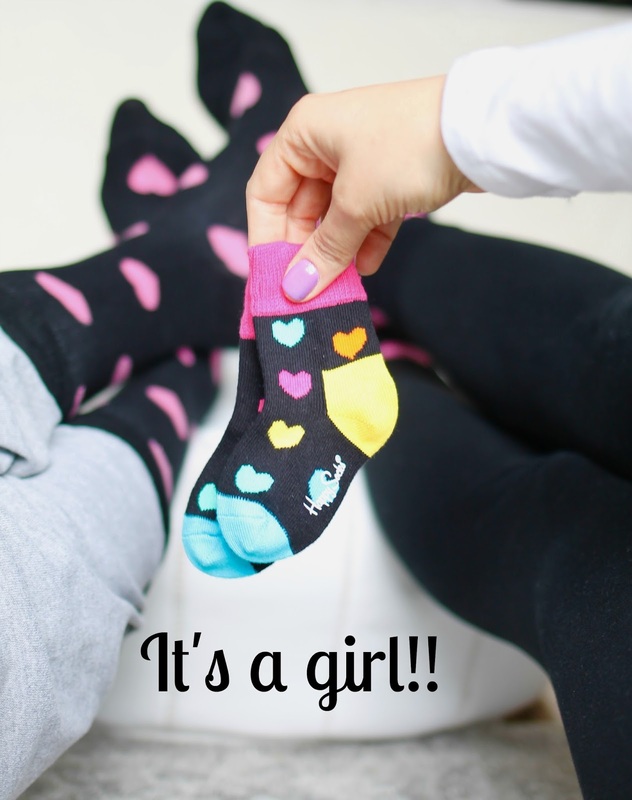 As part two of our big announcement we have the gender reveal. I have always said that I wanted to know what I'm having just as soon as I could find out, so that is exactly what we did. We were lucky enough to be able to find out really early so we have known for a few weeks now. No one was more convinced than I, that I was having a boy. I think in my head I've always envisioned having boys because I grew up with only boys. I never have seen my life with girls in my family. All I know is I am absolutely smitten with my niece Allie and she has prepared me for a girl more than I realized. We were driving home on a Friday and the doctors office called to share the news with us. We found out in the driveway of our house while still in the car. After that we walked into the house for the first time knowing one day there would be 2 girls living in this house! Poor Andrew will be outnumbered. So since then I have only bought two things for the baby and both are blue. Sorry little lady, but I'm not about all the girly pink which may sound surprising. I'm not going to force that on her just yet. There will be lots of color in her life. That I know for sure. Again, I'm working on a post of questions I've gotten so far regarding my pregnancy, but if you have any more for me leave them below or email me. Congratulations! How exciting for you two! Thanks so much lady! Life is looking pretty good for you as well! Thanks Maya! Miss your face! Hopefully I'll see you next time I come back. There will be much more of me though! Congrats mama!! I am so not a pink fan either. My daughter owns like one pink item haha love the gender neutral stuff! I've had my eye on this blue baby blanket from the moment I laid eyes on it. It comes in pink but I just liked the blue better. She'll deal! Love that your all about the gender neutral stuff too! Proud to say I knew this weeks ago!! So incredibly excited and happy for you -- I know of no truer soul who deserves such happiness!